You were the cinematographer on three of Nicolas Roeg’s most acclaimed films. How was your experience working with him? Oh, it was wonderful. I’d known Nic for many years before Don’t Look Now – I’d already been his focus puller and his second assistant, so I sort of understood him. On top of that we were great friends. It’s wonderful having a collaboration with a director when you not only admire their artistry and vision but you also really admire them as a person. That made it easier. Because those projects were hard! I mean, Don’t Look Now was really difficult to shoot. It was, for its time, a very low-budget picture. It’s hard to shoot anything in Venice, let alone shoot it quickly, because of the very nature of the city and its canals. There are no trucks, no camera trucks – everything has to go in by barge! Did Nicolas Roeg’s own background as a cinematographer influence his direction? I don’t know whether one would say it’s his background as a cinematographer. Nic creates a very distinct visual style for each of his movies, but he does that as a director – I don’t think his background as a cinematographer came into it at all. I think a cinematographer’s job is to put a director’s vision on the screen. Nic is very clear in his vision and how he wants a movie to look, to feel, to smell. The location of Venice is integral to Don’t Look Now. It paints the city in a much more sinister light than we’re used to, doesn’t it? Venice is a sinister, foreboding place but also very beautiful – it’s beautifully scary! The city was also quite empty because we shot the film in winter – a lot of people close up at that time of the year in Venice and go off to Milan or Rome for the sun. And, apart from a couple of shots on the Grand Canal in the opening, the great majority of the film was shot in places the tourists don’t go. What other techniques did you use to create the film’s sense of menace and melancholy? We used quite a lot of handheld. I think as an audience you really feel like you’re part of it, as if you’re there. And the lighting of the location was perfect itself – we didn’t have to do too much! I didn’t have to use any light on the exteriors, we used natural light. And we used as little light as we could inside the buildings. The colours were also deliberately muted apart from red weren’t they? Yes, that was part of the original visual style – to take all red out of the movie except for the girl’s jacket and the blood. That wasn’t just the photography. It was as much to do with costumes and with set decoration as anything. The Man Who Fell to Earth is another film with a very dream-like atmosphere. What do you remember about working with its star, David Bowie? David was naturally a very beautiful young man, so I didn’t need to use any special lighting. He was a rather ethereal character anyway, and he was perfectly cast in that movie. I really can’t imagine anyone else playing that part, can you? Do you have a favourite scene in any of the Roeg pictures you’ve worked on? 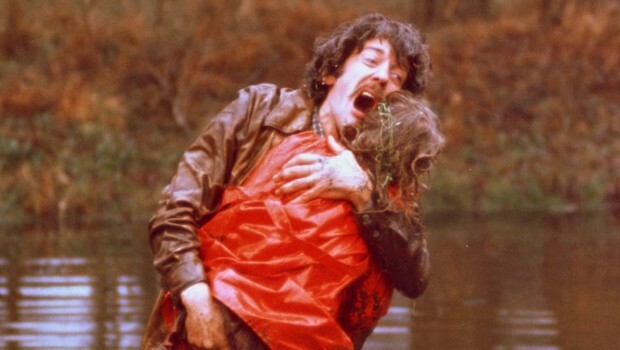 I think one of the great scenes in those movies is the love scene in Don’t Look Now. It’s endured. Even today it’s held as a standard by other moviemakers; people still talk about it. Apart from the way it was shot, it was really beautifully put together in the cutting room. It was just incredible, the whole intercutting of them making love while they’re getting ready to go out. It just looked so real. There’s a lot of beauty about it, and it makes you understand what they’re going through. That scene is such an integral part of the movie. What was the on-set atmosphere like when you were filming that scene? Oh, it was a wonderful atmosphere. That was true of the whole shoot in fact – we really thought we were doing something rather good. In recent years, you’ve worked on a lot of Hollywood comedies. Is that very different to working on those Nicolas Roeg films? It is. Especially if it’s a studio picture – they always want the films to be very light and bright. I’ve never understood that – I don’t see why comedies have to be blasted full of light. People can be just as funny in a shadowy corner! The Man Who Fell To Earth (Blu-ray) is out now. Don’t Look Now (Blu-ray) is out on 27 June 2011.